The Rolling Stones once sang "It's Only Rock 'N' Roll"... No, where these guys are concerned, it's much more than that. There will never be another band as big as The Rolling Stones. No other act will ever reach the same level of success on such a consistent basis for such a long period of time because, even fifty-plus years into their astonishing career, they are still breaking down barriers and finding new ways to enhance their status. Such is the premise of this brilliant documentary that follows The Stones on a tour through Latin America, while at the same time revealing the behind-the-scenes arrangements as they attempt to organise a groundbreaking once-in-a-lifetime free show in Havana, Cuba, something the country had previously never experienced thanks to the rulings of the previous military dictatorship. 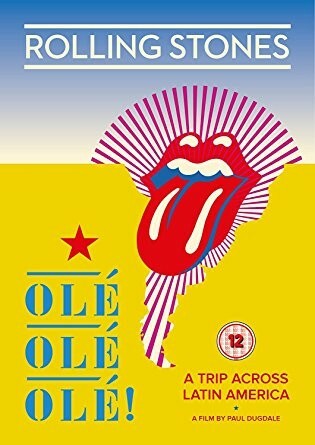 The cultures of each individual country that have been inspirational to their music are explored, with plenty of input from fans who reveal what The Stones mean to them – Argentina, in particular, is notable where their adoration is so palpable it's reminiscent of the sixties when Rock 'n' Roll was still a new experience. The interviews portray the whole band as a very down-to-earth group of individuals, with Keith Richards in particular (somebody who has had his fair share of ridicule in the past) coming across extremely eloquent and humble, while also revealing how important the special chemistry between himself and Mick Jagger is and how it has survived even though they've had their fair share of "squabbles" over the years – this culminates in a fantastic segment where the duo run through an acoustic version of 'Honky Tonk Women' backstage and explain how the song was first conceived in Brazil. It's all set, naturally, to a great soundtrack of Stones classics, but I felt a certain twinge of poignancy when I heard the snippet of '(This Could Be) The Last Time' as with their advancing years it's highly probable that such a monumental tour might never be undertaken by these guys again. In addition to the numerous live excerpts, the DVD is bolstered with amazing full performances of 'Out Of Control', 'Paint It Black', '...Women', 'Sympathy For The Devil', 'You Got The Silver', 'Midnight Rambler' and 'Miss You' that all show the band still capable of entertaining at the highest level, truly belying their age.